I am looking for some pros and cons from you folks to sway me towards one machine or the other. I have saved my pennies and I am ready to buy my first NEW pinball machine. I have owned a few older titles in the past. Here is my take, and let me know what you think. 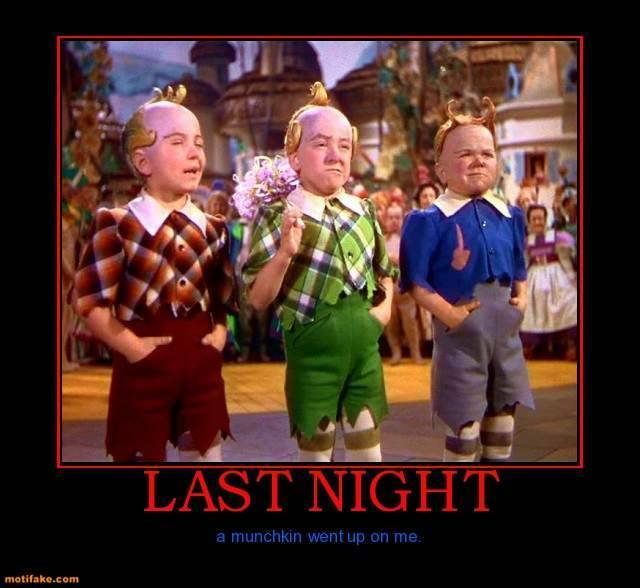 First, if I am to get Wizard of OZ, I want the Emerald City Limited Edition model. I see them selling in the market here from $8100 - $8600 or so, which is a $1500 savings from a NIB. Its really is still a new game even though someone else got the pleasure of unboxing it. I cant afford nor justify paying $10k for this unit new. I think the WOZ has so many more toys. I find the LCD screen a pro and con. Con being, as a player, you really cant look at it. WOZ is such a universal movie that boys/girls/men/women will enjoy. On the flip side, Star Trek Limited Edition. The pro version is too plain for me. I like the color changing leds and the cabinet on the LE. Also I can be the first to crack open that factory sealed box! Seems silly, but I don't know if I will ever be able to buy a new pin again in my life. Now, I grew up a Star Wars person. I mean I went to see the ST movies in theaters, but it never was my favorite. When the new movies came out, I never had to urge to see them, but more or less went to see what modern Trek looked like. Having said that, I have played the Pro version and boy, its colorful and nicely lit. I like the sound effects etc. Just not many toys. Mostly ramps. I can get the LE for $7800. That's the top of the line model. So whats your take. If you were in my shoes, what would you do? Never cared for the Hobbit, and I have narrowed my choices down to these 2 titles, so no need to say, get AC\DC or Avengers etc. Its WOZ or ST.
Apples and oranges. You really need to play both machines before making this decision. 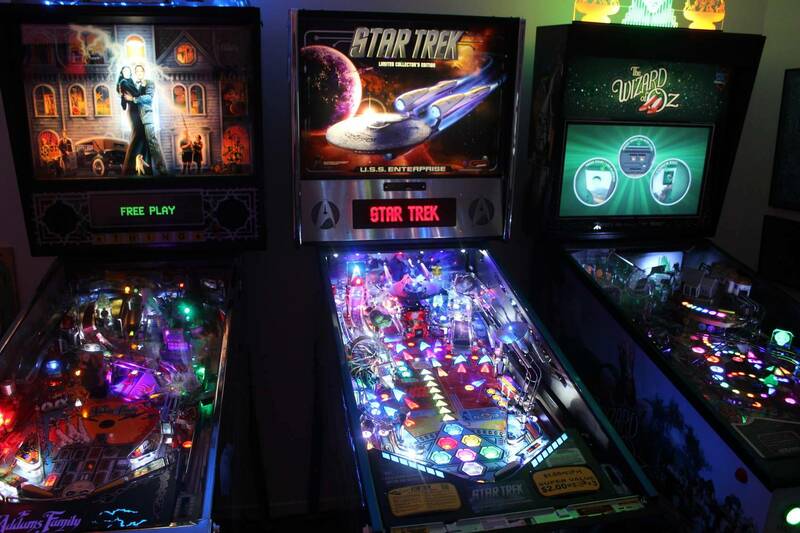 Many Pinsiders will swear up and down all day long that WOZ is the best pinball ever made. Other Pinsiders will tell you that they'd never spend a cent on one. You have to figure out what's more to your liking. These are two very different games! I have played the Pro version of ST and ECLE of WOZ. I like them both. I am only bumping this because I didn't know I could put a poll on it. Can I be your new best friend. LOL. Banker, have you played STLE yet? I haven't seen it in my area at all. There is one arcade in Nashua, NH that has the WOZLE. I am very impressed with the additional treatments added to this machine. As much as STLE looks nice, it just seems like ramps only. I've played both. Woz software is light years ahead of Star Trek software in terms of uniqueness, complexity and variety in its current state. Star Trek software is very cookie cutter right now. Obviously, neither software is done. Both are fun games, however I think woz is more fun. If I were to buy a Star Trek, I would definitely get the pro, so I couldn't lose my shirt if I decided to sell down the road. I have to agree with you, but if I were to get ST, it would be the LE and not the pro. Pro is rather bare. It does look like things are leaning me towards WOZ. If you go with WOZ, just make sure you sign up for that eplate credit card. So how do those people with that card get that extra update? If you know someone with the update, cant you just borrow their thumb drive and put it on your machine? It seems so crazy to have a 10k machine but not have it working to its fullest because you don't have their credit card etc. If given the choice between paying $8k or more for WOZLE or STLE... it would be WoZ no doubt. If given the choice between paying $7-8k for WOZ or $5k (may be less ?) for ST Pro...much harder... I would probably pick up ST. The pro unit really is just too stripped. If would have to be the LE. By all accounts looks like everyone is pointing me towards WOZ LE. STLE will play and look better . Go with the new game ! Right now I have the chance to get WOZ nIb at the 8k range, so its makes a bit harder for me to chose. One minute Im WOZ, the next ST. I just wish ST had more toys. You seem like a great candidate to own a JJP WOZ . Get it , don't pay more than 8K for it and less if it is HUO . I am looking for the Emerald City Limited edition one. Not entry level standard model. Most places sell that one for $7850-$8000. I am going to be checking out the STLE in person today for the first time. I have played the Pro version before. I am hearing a lot of pros and cons about both pins so I haven't ruled either out though even though a few days ago I was leaning towards WOZ. Maybe playing the STLE will lean me the other direction. It seems to speak more about the good things that WOZ is. I say play them both a fair amount, then decide what you want to buy. No reason to rush into either title. Oh, I have played them both (ok, haven't actually seen a STLE in person). Every time I play one or the other, I fall in love the with other machine. Went to an arcade tonight to play both. Sad their WOZ had strange issues. First there was no sound, so they rebooted it. Then the crystal ball had text in it upside down and the machine keep thinking the ball drained down the left drain. Not reality, actuality. Eh, bad TruTv joke. Ya, when I first posted this I don't think saw STLE in person either. I have seen lots of pics and videos of it, and it does like sweat.